Barns have long been dotting the landscape of the UK countryside, and because so many of them have been erected and then abandoned over the centuries, there are an untold number of antique and vintage treasures scattered about, rusting and corroding, just waiting to be found and restored. The original purpose of the barn was to shelter farm animals so they wouldn’t have to stay in the house with their owners and their families. Eventually, barns became the catch-all for everything from broken appliances to broken down cars. Unfortunately, those cars became afterthoughts and eventually lost to time and memory—out of sight, out of mind. Too many cars that could’ve been fixed and brought back to life with a simple visit to the mechanic were left to rot in dilapidating barns, never to see use again. Why fix it when you can just get a new one, right? Well, their loss is our gain! Barns finds can be akin to treasure hunting; men and women searching far and wide, digging through piles of debris and dirt, hoping to discover that one piece of treasure they can hold aloft with pride and awe. When someone buys and old piece of property, or when a loved one inherits a piece of property, there are those that come with an abandoned barn just waiting to be cracked open and investigated. Looking for old classic cars in old rustic barns is hunting for motor vehicle treasure, and it can be exhilarating. 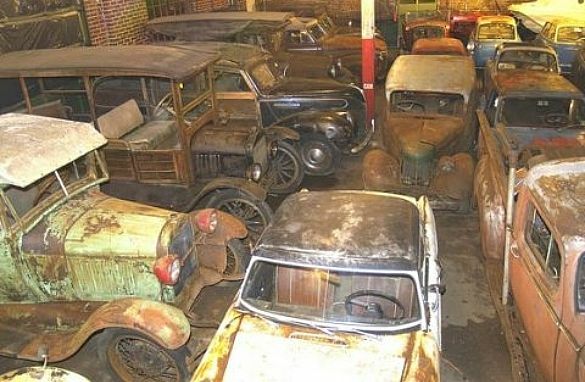 Barn finds, motor vehicle treasure hunting, has already uncovered a few hundred awesome finds in the UK in the last decade. From old Astin Martins to Jaguars, abandoned and forgotten cars come in all different makes, models, years and conditions. 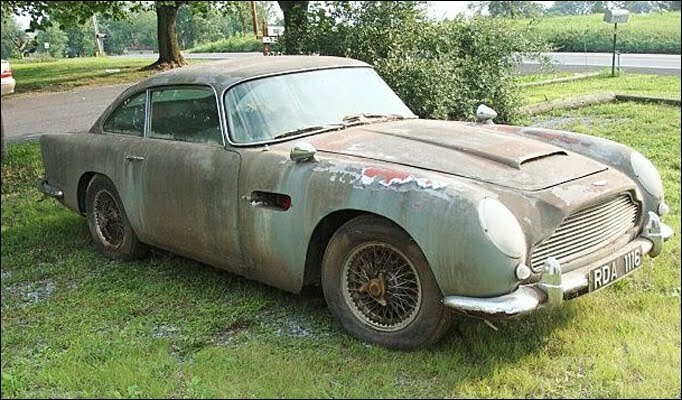 There are some barn finds one would rather scrap than revitalize, but there are a few lucky finds that sell for a tidy amount at auction. The Greatest Barn Find of All? Recently, the largest hoard of barn find classic cars was found moldering in a French barn. Valued at more than £12 million, this barn find collection contains cars from all over the world; a Ferrari which at one time carried Jane Fonda, actress, a Maserati A6G 200 Berlinetta Grand Sport Frua, which is only one of the three left in the world. If those don’t make you drool a little, how about a Facel Vega or a Talbot-Lago? Not your type of classic car? What about a Ferrari 250 once ridden in by Shirley MacLaine and Jane Fonda during the filming of Les Felins in 1970? Or a 1961 Ferrari 250GT SWB California Spider with covered headlights which the barn find…finders…discovered under a heaping pile of old newspapers? This barn find is unlike any other barn find to date, but that doesn’t mean you won’t find something as amazing and life-altering. Your barn find might not be as large or extensive or valuable, but you’ll never know until you start looking, and we’re always here to answer your questions, help you figure out the ins and outs of the classic car auction, guide you toward the best deal for your car or help you find the car of your dreams. 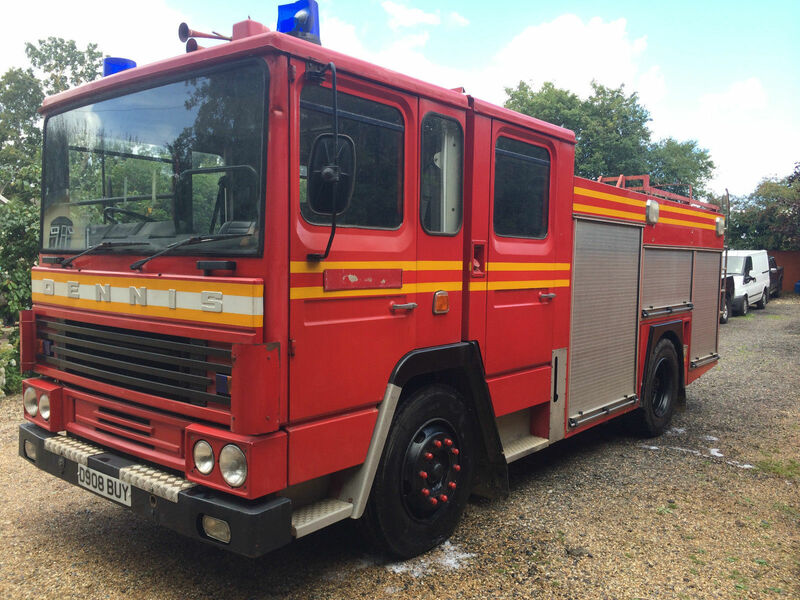 Sometimes a barn find will be in fair to good condition with a only a bit of body work or engine retooling to return it to its former glory. Sometimes a barn find is just a hunk of metal waiting to be put out of its misery. How can a novice tell if a car is worth the time and effort to restore? If the wear and tear on the car from environmental factors such as rain, wind, or animal damage hasn’t ruined the chassis or frame of the car, there’s a good chance it can be restored. Also, if the parts are intact and the body is still in good condition, you can look into having it restored without much worry about structural damage. If the chassis and frame and body of the car are more rust than metal, chances are you’re better off hauling it away and demolishing the barn. Also, if the car is particularly rare and most of the parts are missing, you should consider selling what’s left to someone who has the patience and money to find and purchase the parts for restoration. If you’re a professional classic car restorer or if you know someone who is, maybe there isn’t a bad barn find—maybe you can make lemonade out of a lemon and restore a terribly damaged classic car barn find to its former glory. Classic Cars HQ is one of the best places to list your barn find online. Not only do we have a growing and faithful community of classic car enthusiasts and hobbyists, we also have a growing classifieds section complete with a barn finds tab where members can list their barn finds for other car lovers to bid and buy. Listing your barn find is easy; just login or register, and place your advert. If you’re looking for a barn find classic car to rebuild and restore, we’re sure you’ll find something in our Cars for Sale section. Also, make sure to check out our Wanted section to see if there is a car listed that you just happen to have sitting around. At ClassicCarsHQ.co.uk we have it all. 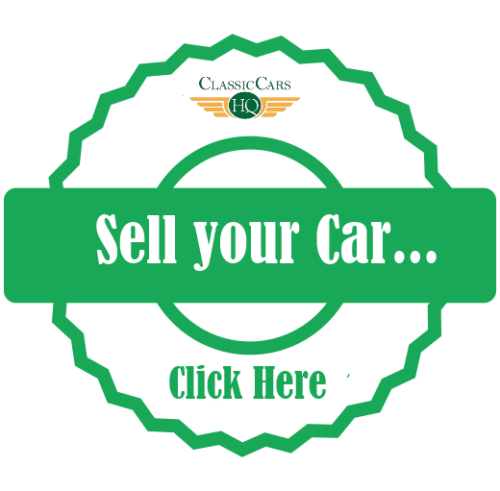 You can learn more about barn finds, classic car auctions, and car shows by clicking through our website. Make sure to stop by our classifieds section to see what people are selling and what they’re looking to acquire. For hundreds of years, much of Europe has been an agrarian civilisation. Men and women worked the farms their families had worked for generations before. Where there are farms, there are barns. In 2014, with fewer farms, there are many abandoned or unused barns scattered about. So, what does that mean for the classic car enthusiast? It means there are hidden gems within these scattered barns waiting to be uncovered. Believe it or not, many of the classic cars on the market today were once left moldering in a barn, forgotten. 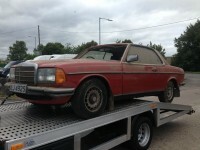 This red ’78 Mercedes-Benz 280 has only 125,528 kilometres (78,000 miles), and is ready for an owner who can clear her up, tune her up, and get her smiling again. Want something a little older? How about this red ’58 TVR Grantura? Barn dust and debris doesn’t just hide cars, it also hides trusty emergency vehicles like this gently aging monster. 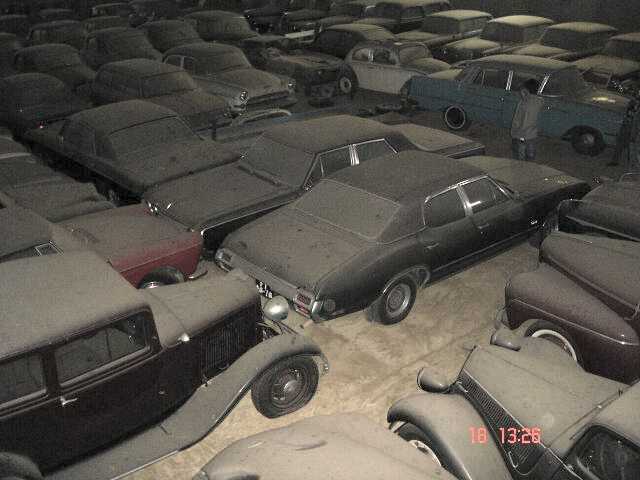 Whether the barn find needs a little rub down or is only good for parts, there are hundreds of new barn finds every year, and you can be one of the few who finds a gem buried beneath a layer of dust. 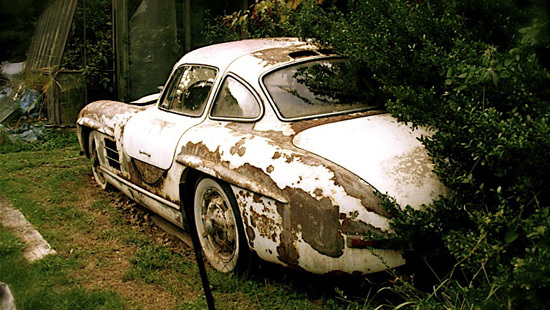 Classic Cars HQ has its very own Barn Finds page! Do you have a barn find you’d like to list? Check out the page here! 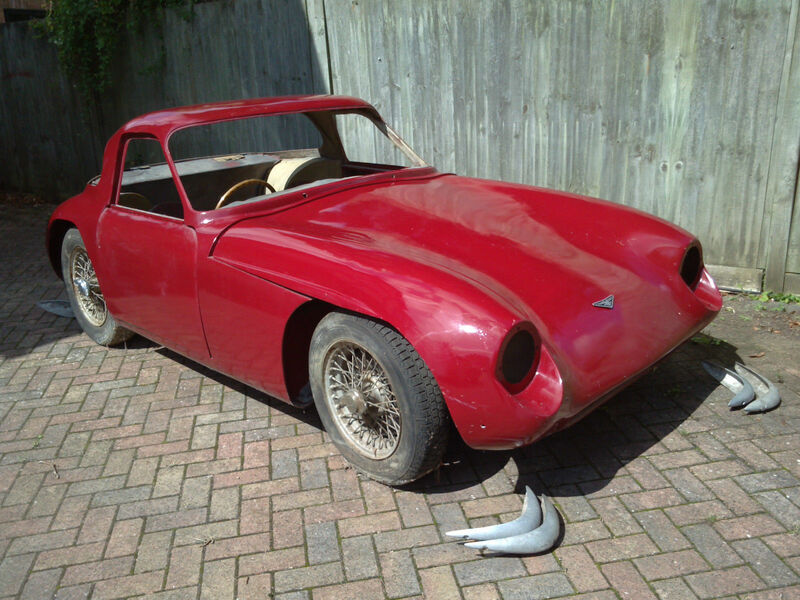 You can find barn finds for sale by going to our Barn Finds section. 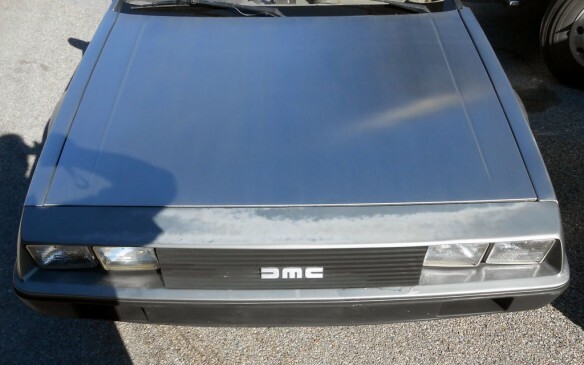 What can be said about the DeLorean that hasn’t already been said? It is a pop culture icon and is memorable not because of its stainless steel body or gullwing doors, but because of its appearance in a certain time traveling movie. I’m not sure if its time in the spotlight helped or hurt the car, but either way these cars have quite the following today. This 1981 DMC12 has been parked for the past 17 years, but in the past few months the seller has gone through things and has it running and driving again. It’s still going to need some work before it is looking and driving its best. If you’ve always wanted to own one of these futuristic ’80s cars, this one can be found here on eBay but you will need to ship it as the car is in Manchester Center, Vermont.